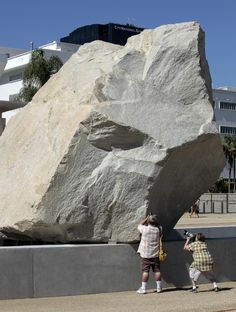 Dwan Gallery donated “Double Negative” to the Museum of Contemporary Art, in Los Angeles, in the eighties, and Heizer hasn’t visited it for years. The degradation there depresses him: its clean, deep cuts have filled with boulders calved from the sides. 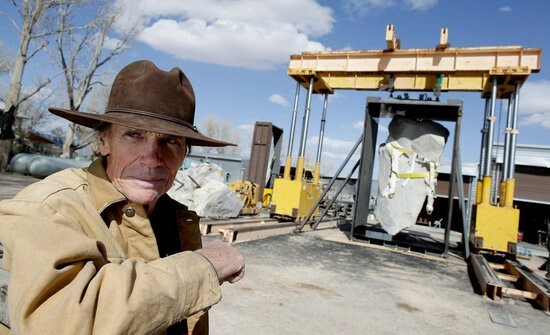 Though he originally intended the piece to respond to time and ultimately be reclaimed by geologic processes, at some point he changed his mind, and now hopes to find the money to restore it. Govan thinks that this reversal came partly because Smithson championed the principle of entropy, and Heizer wanted nothing to do with an idea associated with his nemesis. 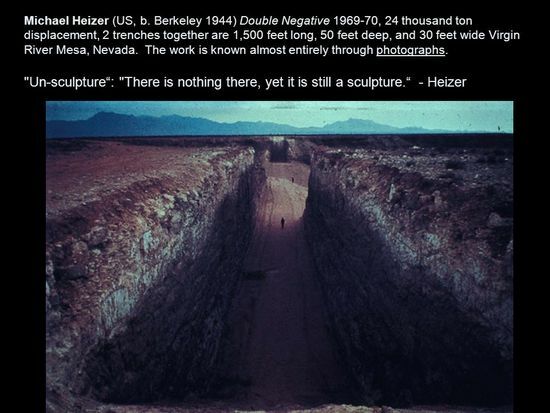 Soon after the sculpture was finished, Heizer decided to go where no one could hear him talk. The “global jet-set art circuit” is of course a circuit of capital, which requires in an age of the 1%, the patronage and power of individuals and institutions, and of course there are the differences among race, class and gender that have made participating in these scalar cultural activities more difficult in a digital age of reproduction. One research problem that has been a thread in my cultural work is that of reconciling the material and the ideal as though thinking of that binary as conflicting ideologies is certainly both timeless and timely, yet vitally virtual, even as a political economy. Even as one gets glimpses of the jet-set art circuit, one gets the feeling that because it is built on wealth that was built on inequality, that is why one should try to level the playing field, but what means are necessary when one has no resources or patrons. These are as Foucault says, unlike an earlier age when monument generate historical documents, these documents as mediated photographs, generate media monuments. Much has been said about the dangerous impact of a superficial, lifestyle-based, money-oriented culture: it has often been invoked as the explanation for why people become passive, docile, and easy to manipulate irrespective of how disadvantageous their economic conditions are. 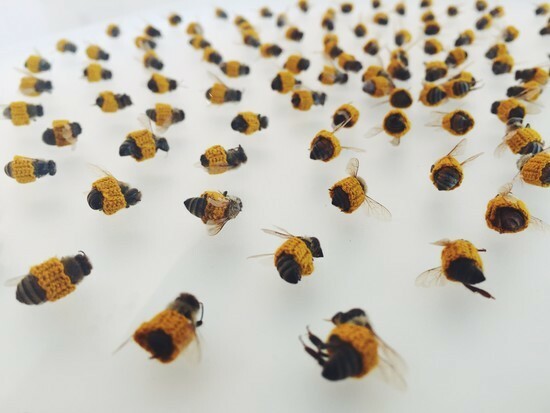 “Art” that produces standardized cultural goods reflects a peculiar type of aestheticization of the everyday world: a dream-like immersion into mass-produced commodities. This immersion is equivalent to the adoption of behavioral stereotypes and tastes linked to a continuously advertised petit-bourgeois phantasmagoria, and also reflects the advanced commodification of social life. Surveying as an act or reconciling horizons, does use the term memorial as well: “A “monument” is the object or the physical structure which marks the corner point”. The placing of rocks as meaningful covers many cultural practices and as much as I would have liked to place my own history around and about, perhaps it’s just as well not to worry about the memories of others, and to be mindful of things one needs to be mindless about in equanimity. A cairn is a human-made pile (or stack) of stones. The word cairn comes from the Scottish Gaelic: càrn (plural càirn). Cairns have been and are used for a broad variety of purposes, from prehistoric times to the present. 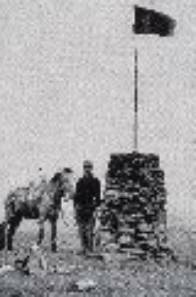 One of many cairns marking British mass graves at the site of the Battle of Isandlwana (1879), South AfricaThe British Army had suffered its worst defeat against an indigenous foe with vastly inferior military technology. Cairns are used as trail markers in many parts of the world, in uplands, on moorland, on mountaintops, near waterways and on sea cliffs, as well as in barren deserts and tundra. They vary in size from small stone markers to entire artificial hills, and in complexity from loose conical rock piles to delicately balanced sculptures and elaborate feats of megalithic engineering. The 141st Meridian survey marker between Canada and Alaska , created in 1911 is on the Ladue River , International Boundary. Moving space shuttle Endeavour across the United States was a massive undertaking. Endeavour first flew on the back of a Boeing 747 from Cape Canaveral, Florida to Edwards Air Force Base in California, while making several stops along the way. After arrival, Endeavour honored many California landmarks as it flew over the State from Sacramento to Southern California while onlookers marveled at the sight all along the way. After landing at Los Angeles International Airport, the biggest adventure was yet to come, transporting Endeavour through the heart of urban Los Angeles to its new home at the California Science Center. At 78 feet wide, 57 feet high and 122 feet long—longer than two school buses—navigating the streets of Los Angeles and Inglewood required the guidance and skill of over 100 people. Police controlled traffic; engineers and technicians lifted power lines and took down traffic lights while approximately 1.5 million people lined the sidewalks to celebrate the event. Photographers and filmmakers were on hand to document this once-in-forever moment in history.Mission 26: The Big Endeavour features photographs highlighting some of the spectacular scenes witnessed during space shuttle Endeavour’s flight over California and her 12-mile, 68-hour journey through city streets to its final destination in the Samuel Oschin Pavilion at the California Science Center. 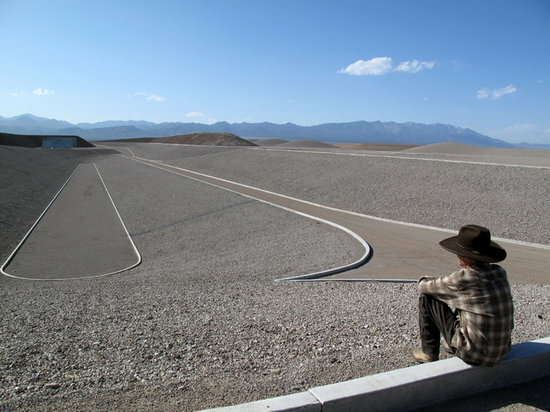 To meet Michael Heizer, the sculptor and pioneer of Land Art, usually entails an arduous trek through the desert. I only have to take the subway. 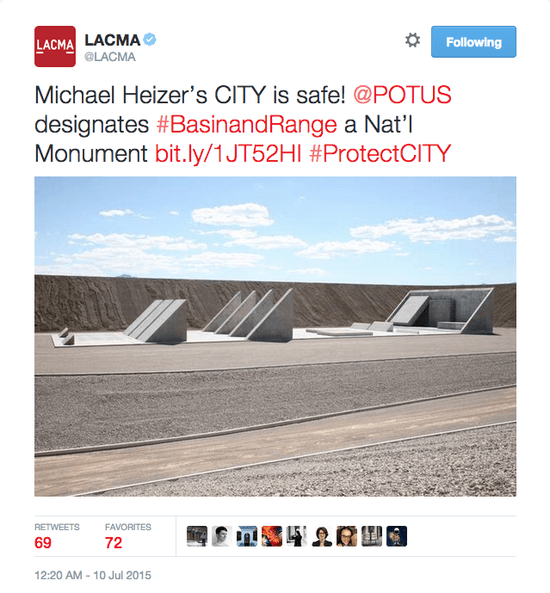 Heizer has been creating large-scale artworks in Garden Valley, Nevada out of stone and earth – and one in particular, the magisterial City, has occupied him for decades. Yet this May, for the first time in 25 years, Heizer has come back to New York: the city he left in the late 1960s when his work outgrew lofts and galleries, and his ambition grew with it. 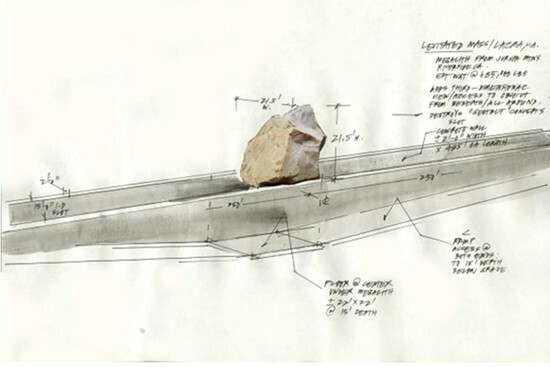 “City” is made almost entirely from rocks, sand, and concrete that Heizer has mined and mixed on site. The use of valueless materials is strategic, a hedge against what he sees as inevitable future social unrest. Ultimately, he wanted to create art in the land that would not deteriorate, but endure for generations to come. In 1972, he embarked on the creation of City, an almost unfathomably ambitious suite of abstract sculptures in the Nevada desert. Where Double Negative removed mass from the earth, City reshapes the earth: walls, mounds, and giant geometric forms, all in conversation with the near-infinite landscape. 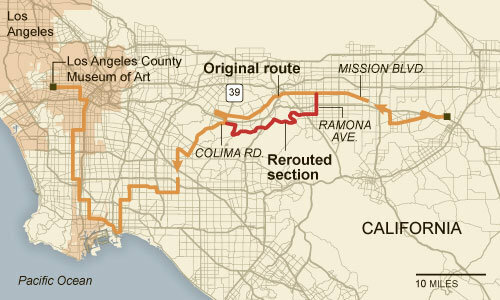 City has cost millions of dollars to produce, and financial and political considerations – the land surrounding City has been threatened by oil exploration and a possible nuclear waste rail line – have delayed its completion over and over. It is not an overstatement to call City the most elaborate undertaking ever by an American artist. Now, it may finally be coming to completion. “It’s basically 98% finished. 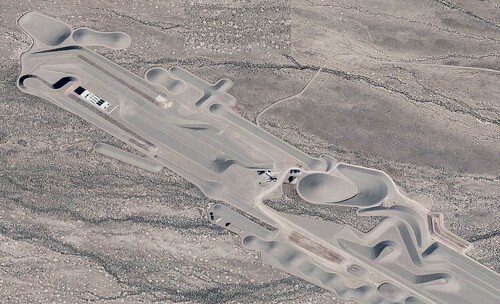 The important stuff either is done or is being done this summer,” Heizer confirms. “There’s fence work and gates that have to be put in. I have an obligation to people not to turn this into a carnival. I’m an artist; I want to finish this before anyone shows up. 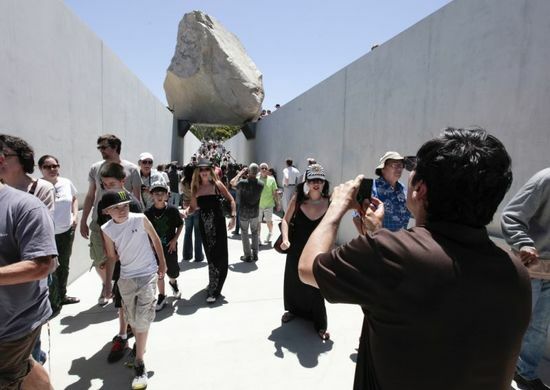 Nobody’s giving me trouble.” He has been helped immeasurably, he says, by Michael Govan, the director of the Los Angeles County Museum of Art – “a true partner”, in Heizer’s phrase, who has shepherded City through years of logistical and financial obstacles. 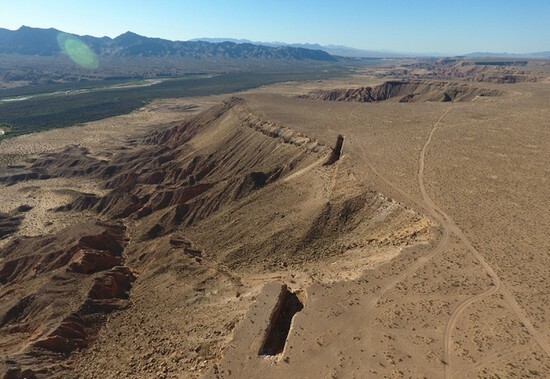 The Nevada senator Harry Reid has been petitioning the Obama administration to declare the area around City a national monument, though no one is celebrating yet. One always thinks about the monumentality of one’s life or its absence, ever to be annihilated. “City” is a monumental architectonic work, with dimensions comparable to those of the National Mall, in Washington, D.C., and a layout informed by pre-Columbian ritual cities like Teotihuacan. 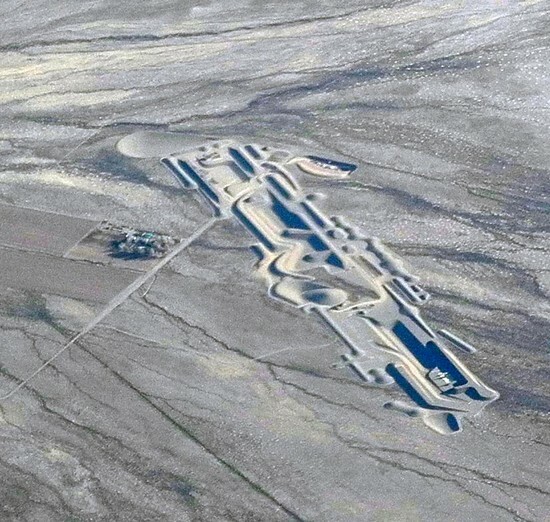 Heizer started it in 1972, when he was in his late twenties and had already established himself as an instigator of the earthworks movement, a group of artists, including Robert Smithson and Walter De Maria, who made totemic outdoor sculptures, often in the majestic wastelands of the American West. Art objects are widgets, and that’s why people purchase them. Artisanal objects also are, but that’s not why people purchase them. The intersection of those meanings remains contestable. Does object art (artisanal or precious) or even installation art have more than a limited number of possibilities in a digital age. Is this type of artwork any more communicative in Zurich or Berlin than in NYC, or in the pages of The Atlantic. As often as such art attempts to subvert its own souvenir status, it remains captured by its scale economies and their real or imagined audiences. Does Ivanka Trump give autographs in Japanese? 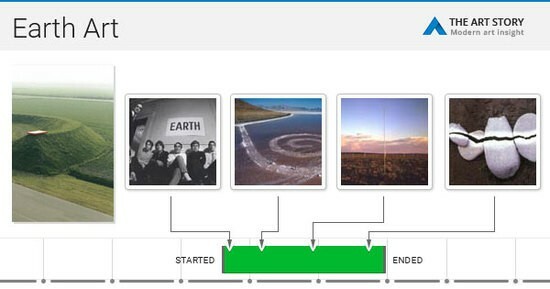 The word widget is a placeholder name for an object or, more specifically, a mechanical or other manufactured device. It is an abstract unit of production. The Oxford English Dictionary defines it as “An indefinite name for a gadget or mechanical contrivance, esp. a small manufactured item” and dates this use back to 1931. It states that the origin is “perhaps U.S.” and for etymology suggests that it may be a variant of gadget.However, the term also appears earlier in George S. Kaufman and Moss Hart‘s 1924 play Beggar on Horseback.The term appears in George Goodman‘s novel and screenplay for The Wheeler Dealers (1963). General Motors Corporation sponsored a short film in 1939, “Round and Round”, which features widgets throughout. When discussing a hypothetical situation, the term is used to represent any type of personal property, with the corresponding term Blackacre used to represent any type of real property. In such use, the widget or Blackacre has whatever characteristics are relevant to the scenario. So, if the object being discussed needs to be a liquid, then the widget is liquid. If it needs to be light, heavy, manufactured, naturally-occurring or whatever, the widget has the necessary characteristics. In technology, the term has a variant, gigawidget, which is used to describe an object that is fictitious. The term is also used for obfuscation, if the object’s real technology, composition, or purpose is unknown. Genre-wise, Pendleton’s work discussed below is only marginally conceptual in the sense of the 1970s genre as a field of inquiry which fell into obscurity because not only was it meta-critical, but it was always more than “illustrating philosophy”. This sets aside the artisanal importance of cultural objects often made difficult by the false dichotomy of art and craft, further obfuscated by the concept of “design” objects, having actual professionals talk about “fine crafts” to differentiate between high-brow and low-brow tastes in cultural objects and their markets (if you buy it in a museum store, is it more aesthetic?). One purchases their artworks because they have cultural meaning that are personal and often eclectic or eccentric values, far beyond the argument made here. One obtains objects often for reasons that defy analysis. OTOH, there is an “official” avant-garde art that has a realm of acceptability if not constrained by the cynicism of a neoliberal economy. This is an art that will have its Monuments Men, but only if they have verifiable auction prices in large relational databases. The Earth Art referred to in an earlier piece also challenged that material object paradigm in terms of the art gallery as a promotional venue among other mediated or unmediated proxies, prototypes or simulacra for actual artwork and its direct experience. Inevitably the material value was not in the remote site of Earth Art but in its cosmopolitan financial locus either at the gallery or museum as a representation of private/corporate patronage or civic wealth. Artworks’ didactic possibility as mediating social and political action has been more often than not to be proven in their history to be relatively ephemeral or even epiphenomenal. The power of that critique only gained cultural meaning in terms of potential litigation or the more bizarre claims of obscenity in terms of actively or passively terrorizing public space by its proported intrusion. But enough of my disappointment with the relatively limited political contributions of revolutionary artwork in the larger media history of mass cultures. Its production as monetized objects of a commodified petit-bourgeois career still seems important in the age of Latino hip-hop appropriations of musical theater like Hamilton. There will always be a market for art that moves boundaries but within rationalized ranges of acceptability, noting why the RW attacked federal support for artists. 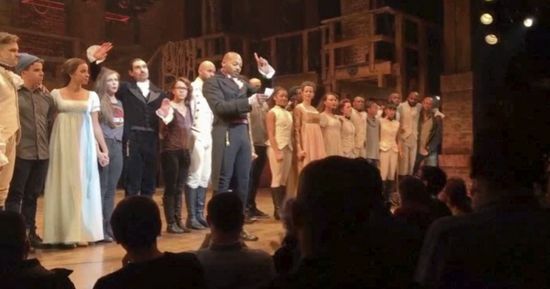 Unfortunately art’s political effect has been seen as mixed as the polite post-performance petitioning by the latter’s cast to Veep-elect Pence and has been distorted to narrowly signify #BLM. Art as social meaning will be in a tough way as the First Amendment comes under further assault and not with Second Amendment solutions. 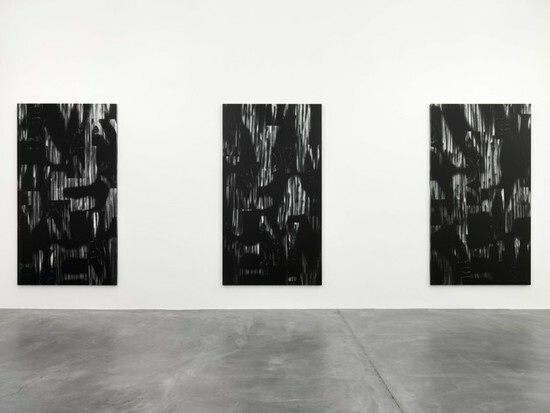 His show includes six new paintings, called “Untitled (A Victim of American Democracy),” spray painted and silk screened in superimposed layers of black paint. Two larger wall works, resembling pages from a notebook, incorporate writing by W.E.B. DuBois and Amiri Baraka. Pendleton’s artistic manifesto, which he calls “Black Dada,” refers in part to Baraka’s poem “Black Dada Nihilismus,” which is featured in the show. Sophie Gilbert: Can you tell me a little about “Midnight in America”, and where the idea for the show came from? 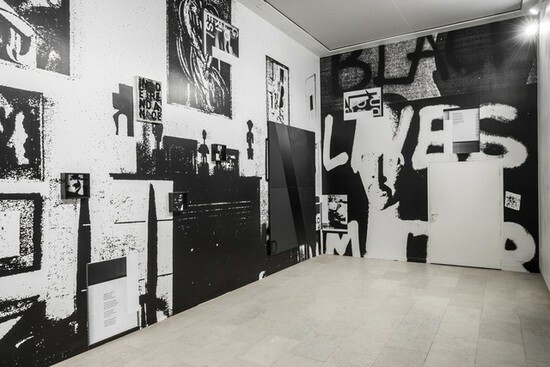 Adam Pendleton: The language I use in the paintings that anchor the show was pulled from a speech that Malcolm X gave in 1964 called “The Ballot or the Bullet.” Not exact phrases or quotes, but pulling from something he was saying in the speech about how he, and African Americans, were victims of American democracy. I often use language in my works. And the historical context was that someone who was being systematically oppressed in American society actually had a deeper belief in the American democratic project, and was arguing that it could in fact be a more open and just place. Gilbert: Do you see your work as having a particular message or is it more about encouraging a particular kind of interrogation? Gilbert: What do you hope people take away from “Midnight in America”? Pendleton: I hope they realize that there’s perpetually a direct relationship between political and social movements and art-historical movements as they relate to conceptualism and abstraction—that they really feed into each other. I like to say that I’m a conceptual artist. Conceptual art came about during the civil-rights movement, and that’s a dynamic I always like to think about and examine in my work. 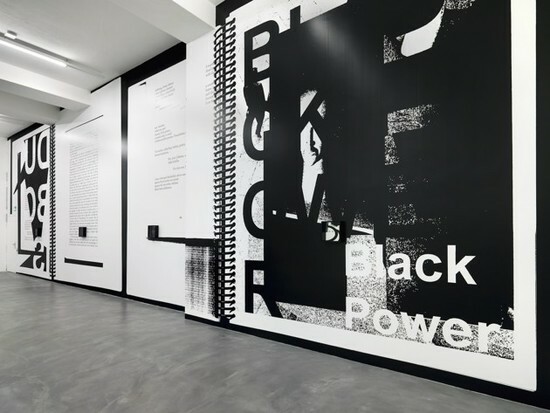 Adam Pendleton (born 1984, Richmond, Virginia) is an American conceptual artist known for his multi-disciplinary practice, involving painting, silkscreen, collage, video and performance. His work often involves the investigation of language and the recontextualization of history through appropriated imagery. His art has been shown at the Museum of Modern Art, the Whitney, the New Museum, and other shows internationally, including La Triennale at the Palais de Tokyo in Paris. He has been featured twice in Forbes Magazine’s “30 Under 30” list. In 2012 Pendleton signed with Pace Gallery at age 28, the youngest artist to do so since the 1970s. His first show with Pace was at the gallery’s Soho London branch in the fall of 2012. Famous Collectors include Steven A. Cohen, Leonardo DiCaprio and Venus Williams. This work (Walter De Maria, The Broken Kilometer, 1979. © The Estate of Walter De Maria. Photo: Jon Abbott) is the companion piece to De Maria’s 1977 Vertical Earth Kilometer at Kassel, Germany. In that permanently installed earth sculpture, a brass rod of the same diameter, total weight and total length has been inserted 1,000 meters into the ground. The Broken Kilometer has been on long-term view to the public since 1979. This work was commissioned and is maintained by Dia Art Foundation. Since the classic work of Henri Lefebvre and David Harvey, the ‘secondary circuit of capital’ has been a focal point for debate among critical urban scholars. Against the background of contemporary debates on financialization, this article investigates the institutional and political roots of the subprime mortgage crisis. Empirically, the article situates the current turmoil of the US mortgage sector with reference to a series of ad hoc legal and regulatory actions taken since the 1980s to promote the securitization of mortgages and expand the secondary mortgage market. Securitization is a process of converting illiquid assets into transparent securities and is a critical component of the financialization of real estate markets and investment. Specifically, I examine the crucial role played by the US Treasury Department’s Office of the Comptroller of the Currency (OCC) and the Department of Housing and Urban Development (HUD) in creating the polices and legal-regulatory conditions that have nurtured the growth of a market for securitizing subprime loans. Theoretically, the article examines the subprime mortgage crisis as an illustration of the contradictions of capital circulation as expressed in the tendency of capital to annihilate space through time. 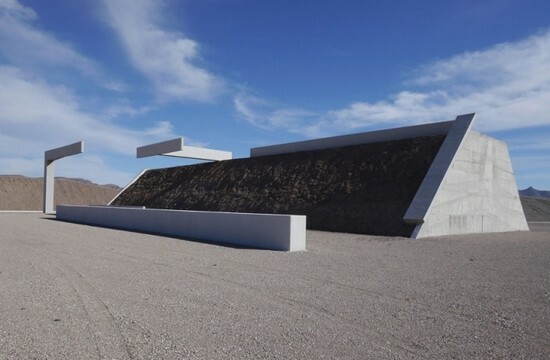 This entry was posted in Art, California, History, Installation Art, Media, Memorial, Mythology, Sculpture, Uncategorized, United States and tagged Art, conceptual art, Culture, earth art, environment, fine arts, galleries, installation, Media, Michael Heizer, museums, Nevada, RACE, Sculpture, visual art. Bookmark the permalink. 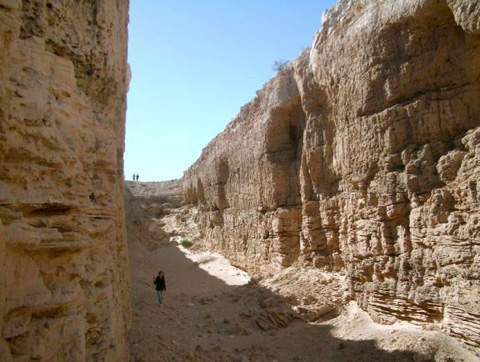 There are those who would bulldoze the Pyramids and Sphinx if they could build condos on the land. There are those who would dynamite the Pyramids and Sphinx if they could, because they represent a religion different from theirs. I hope pristine monuments and places are preserved, but I fear for the next several years as long as the culturally illiterate are in charge. I get emails and see posts making fun of the pipeline going through sacred Indian burial grounds. How about building a pipeline through Arlington? Would that be funny enough to send out cartoons on Facebook? Depends on how much money they could make on the pipeline. 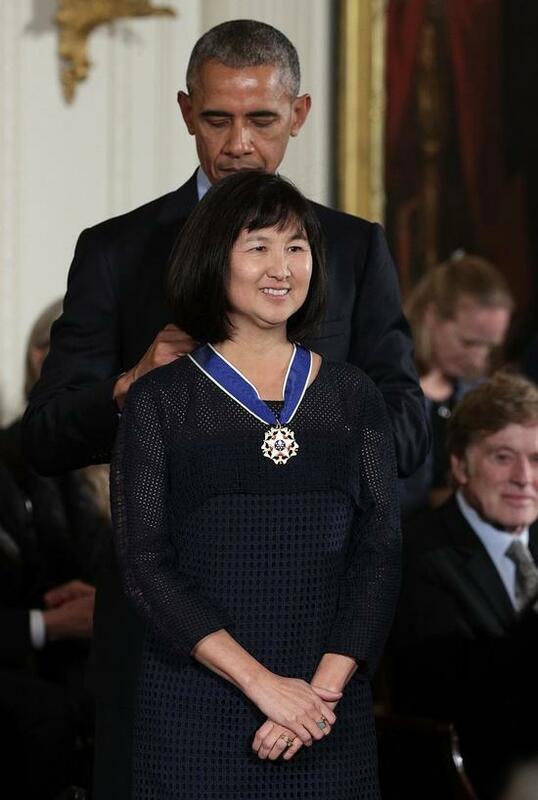 Patriotism and honor seem to have a more fluid meaning lately.